Band Lessons , with us, are vastly different than any other studio in the Pensacola area. Band lessons were first started by Ron Kaye in Pensacola. 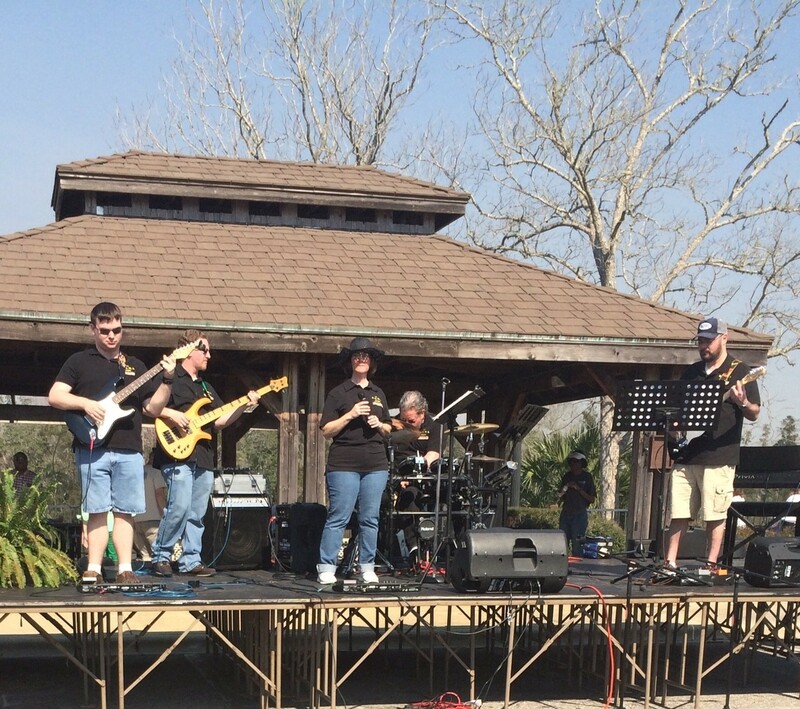 The “RKMI Band” was Founded in 1997, as a way for students to take their playing to the next level and experience working and playing with a band. From there, we formed certain combos consisting of other students and had them perform at one of our recitals. As the band lessons program grew, we would often hear that the combos were as good as, many of the current bands playing around. We thought it would be a good thing to add a few of our instructors to the mix and raise the bar higher yet. Therefore, the music factory keeps evolving and growing and stretching our students to ever higher standards of professionalism while remaining rewarding and awesomely un. Learn to Play Music & Perform in a Killer Band ! Breaking it down – The Ron Kaye’s Music instruction band lesson program a.k.a. “The Music Factory” is a high standard performance program. Select students and instructors form a house band which raises the bar on student performance, showmanship, confidence, and musicianship. The band works each number to a professional level and performs a set list of mind blowing classics. In addition, many of our regular students will have the opportunity to perform a number which they have perfected with their lessons. This is no “role playing” exercise. Our program is about working and building the experience of a lifetime. The results can be carried forward into everyday life which enhances the students overall quality of life. PERFORM LIVE! Once the band has learned their songs, it’s time to to take it to the stage. The professionally trained participants will perform their songs in front of a live, cheering, audience. Everyone leaves a champion, having participated in the ultimate collaborative experience. WHO IS ELIGIBLE FOR THE MUSIC FACTORY? ANYONE WHO IS COMMITTED TO LEARNING AND GROWING WITH THIS AWESOME OPPORTUNITY. If you are interested in band lessons with our new exciting program, call (850) 453-9966. We are looking for students with a great attitude, who are not afraid to commit to excellence. Most levels of musical experience are acceptable (We can teach you what you need to succeed). Choose your lessons, practice and join the Band!